All slalomers and slalom fans are welcome to join the ISSA forum and ISSA facebook group. Just register and join. You may register yourself as a Basic Member or Basic Organisation for free. 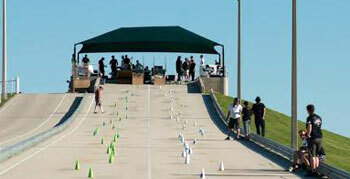 But if you want to make a greater impact of your support for slalom skateboarding sign up as an ISSA Gold Member, ISSA Supporting Organisation or as an ISSA Sponsor. Your support is worth a lot for the development of ISSA and the international slalom scene. Maybe even more important now showing support for ISSA when it is a part of WSF (World Skateboard Federation) and that we want to show that slalom is a unique and historic skateboard discipline. And something that we want to keep relevant and to be included in future World Skateboard Championships. And maybe even further ahead to be seen as a possible skateboard discipline candidate for the Olympics. You automatically become a Basic ISSA member for a year where you pay entry fee and race in an ISSA supported slalom event. If you have not yet raced in an event before and want to register for your first slalom event here on the ISSA World Ranking website you may contact the organizer by email and they will be able to register you to their event home page here on this Website. You will then also get your own personal ranking racer homepage where you in the future can register yourself for other events. And where you later can see all your event results and ranking points. There are three levels of members. - Can vote on issues concerning ISSA. For example elections for the Board of Directors. - Get special functionality on the ISSA World Ranking pages. - Your results may be included into the organisation ranking if you are a member of an organisation. The organisation is responsible for connecting you as a member. - It will show on your ranking racer homepage what sponsors, product group brands and organisation you support. You become a Gold member when You sign up and pay the yearly member fee for ISSA. You can pay the yearly Gold Member Fee on your personal ranking racer homepage. Search for your personal ranking racer home page here. It's free to register an organisation on the ISSA World Ranking website. If there is a country skateboard federation the organisation must be a member of this. If no country skateboard federation exist it may be an independent country organisation/club. - Will be recognized as an official ISSA organisation. - Have authorization to be included in Organisation rankings. - Will be able to connect racers as members. You become a Supporting Organisation when You sign up and pay the yearly organisation fee for ISSA. Responsible persons for the organisation can pay the yearly Supporting Organisation Fee when logged in on their personal ranking racer homepage. Log in to your personal ranking racer home page here. Search for existing organisations here. 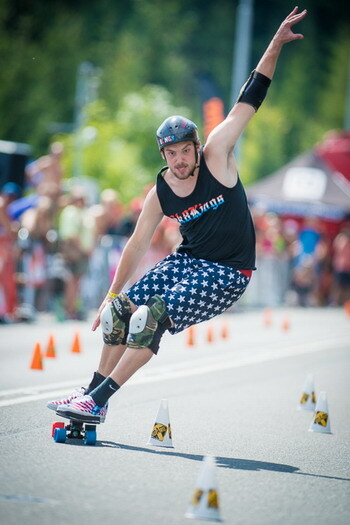 A sponsor can be a manufacturer, distributor, shop or other relevant supporter for the skateboard slalom scene. - Will let Event organizers be able to select you as sponsor for their event and will make yourself more visible. - Have authorization to be included in Sponsor and Product Group rankings. You become an ISSA and World Ranking sponsor when You sign up and pay the yearly sponsor fee for ISSA. Responsible persons for the sponsor can pay the yearly Supporting Organisation Fee when logged in on their personal ranking racer homepage. Search for existing sponsors here.